Eter Dub was founded by the dub master Federico Balza, in Mendoza (Argentina). The project was floating around the air for some years until the first works came out in 2015 through a self-release called "JaH-Fi". Federico Balza (flute/sax) is a graduated musician from the Universidad Nacionalde de Cuyo with studies on classical flute and member of the Orquesta Sinfonica Juvenil (1st flute) in Argentina. As saxophonist (tenor/alt), flutist and keyboard player he collaborated with many reggae, dub and hip-hop bands like Zona Ganjah, Downbeat and Negritage touring around the underground scene of Latin America (Argentina, Bolivia, Colombia, Brazil). 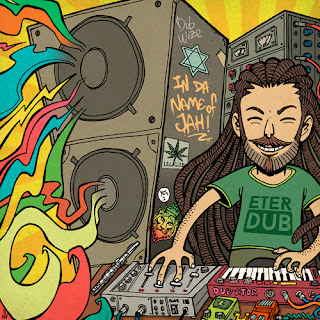 Eter Dub offers a new fresh breeze in dub music. His sound cannot be framed into one genre. It is definitely dub, but with references not only to his classical musical studies but also into jazz, which is his second nature. 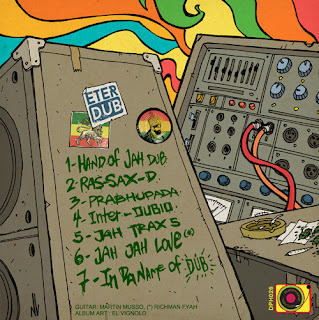 Each composition offers originality and an alternative approach to dub music. From the “linguistical” approach on Hand Of Jah, to the slow and wild “Ras-Sax”, from the funk-jazzy “Jah Trax 5” to the adventurous “Jah Jah Love”, all seven tracks of the EP build a new concept of dub music. Special thanks to Martin Musso and Richman Fyah for the guitars on this release, El Vignold for the awesome cover art and Salvator & Viento Zondub for the inspiration. Be prepared for something different.